SIL Radon Awareness Task Force, Inc., in conjunction with Illinois Emergency Management Agency, American Lung Association of Illinois, and Cancer Survivors against Radon – CanSAR, sponsored a Radon Awareness Lunch on January 20, 2010 at Gibby’s on the Green in Whittington, IL. 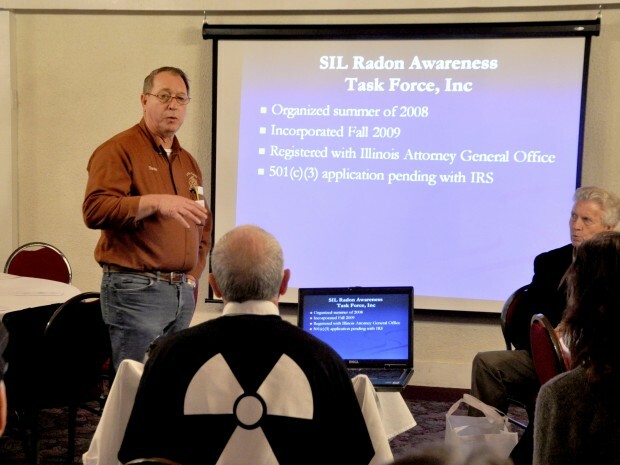 Among the attendees were three of the ten homeowners who received free radon mitigation systems in 2009 as part of the Southern Illinois Radon Awareness Initiative. The well-attended event also included representatives of area County Health Departments, County Extension offices, Colleges, Boards of Education, real estate offices and businessmen and women in the area.